This world is a canvas on which several players drew some pictures. In fact, this is a relatively small area without restrictions on which are the most diverse buildings. Houses, cafes, roads and bridges, mini games for several people and other fantasy objects were built here for fun. 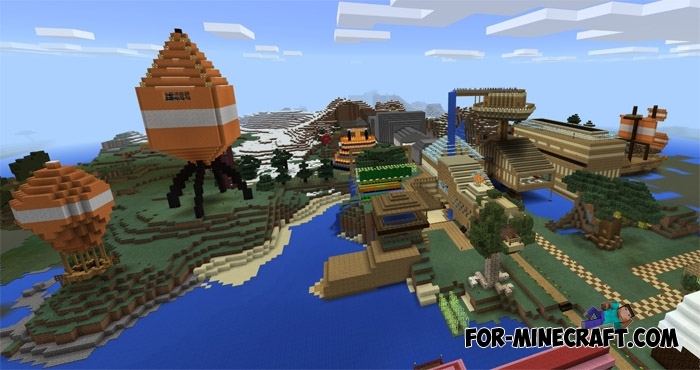 As the name suggests, this map is the Stampylonghead's creation. Probably this map is created for those who want to see quite simple structures built by non-professionals. You will have to build your way to enter some buildings since the builders did not provide an entrance door. 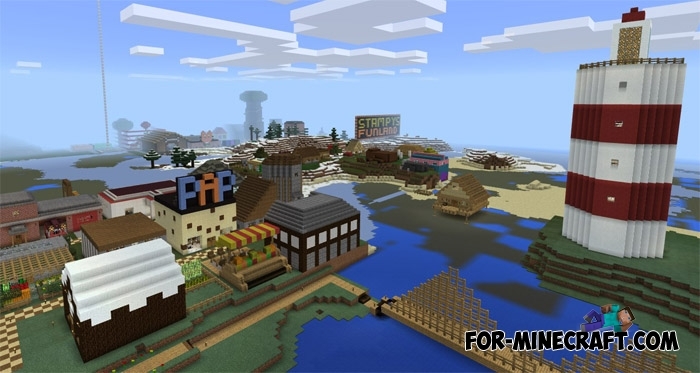 Fantasy Craft map (MCPE 1.0+)You can download the Fantasy Craft map for MCPE which contains many beautiful and very picturesque places instead of..